Ian Cameron and I have joined forces for our second shared exhibition, the previous one being held about two years ago. There is no ‘theme’ as such to the exhibition as it is a selection of the work we have produced individually over the last two years. In combination, we will be exhibiting approximately 40 examples of our work. Content wise my selections lean more towards the ‘inner landscape’ as personally, I find intimate landscape photography a real challenge and therefore for me more satisfying. This also allows me to concentrate on locations close to home in Moray although I have also chosen a few examples made in the North West Highlands of Scotland. I’ve included a four print mini project of four trees which I regularly re-visit and photograph as well. One ‘old friend’ located at Badachro near Gairloch I’ve been visiting regularly for the last four years and I plan to go back again in the beginning of December. Apart from the ‘old friends’ mini project most of my framed and matted prints are in a square format and all are shot digitally and composed with cropping in mind. Ian tells me that a great many of his photographs will centre around Moray but that undoubtedly there will be other familiar and not so familiar locations displayed in all shapes, sizes and finishes. Ian hopes to be around at the gallery on a number of occasions particularly at weekends if he is not running a workshop or master-class and I’ll be in the gallery during some of the exhibition. 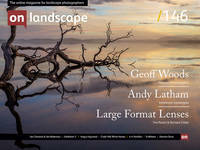 Both of us will be delighted to meet you, answer any questions we can and of course, offer advice on any photographs. Ian also intends to have cards and his book on sale. The Gallery at Elgin Library offers the most prestigious hanging space in Moray and we are both grateful to Libraries and Information Services - The Moray Council for allowing us the use of the exhibition facilities. A special thank you to Sheila Campbell (Principal Librarian Central Services), Linda Geddes (Lending Services Co-ordinator) and Carol Grant (Business Support Team Leader). Take a read of our Featured Photographer interview with Jim and his other previous contributions to the magazine. The exhibition runs from 10th October – 13th November 2017 at The Gallery, Elgin Library, Cooper Park, Elgin, Moray, IV30 1HS. Admission free, on site parking and Cafe. Please contact the library on 01343 562600 to check on opening times and accessibility to the gallery and please do sign and comment in our visitor's book.